Apartheid was a system of racial segregation in South Africa enforced through legislation by the government from 1948-1994. 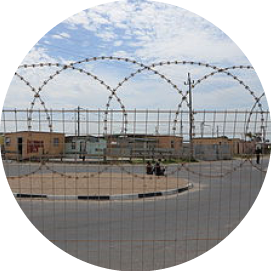 Below is an overview of some of the alarming statistics of townships in the post-apartheid world. Post-Apartheid, equity has yet to be achieved: almost 58.5% of whites enter into higher education, while the rate for blacks to enter into higher education is only around 12%. The reason for this is generally understood to come from poor quality primary and secondary schooling. The skewed distribution of education is mainly attributed to higher and more rapid dropout rates among the poor, rather than from a lack of initial access to schooling. 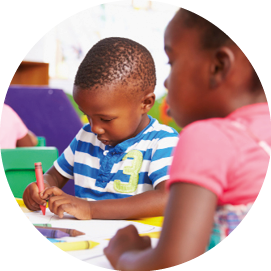 The formerly white Model-C schools uniformly produce better results and their governing bodies are able to raise substantial private funds used to get resources that are then unreachable by the rural and township schools which survive on the commitment of their teachers. A lot of the violence in South Africa is gang related and can involve children starting at the age of 6 years old and up. Part of the problem comes from the lack of stability, structure and resources. Many of the children learn from the violence that surrounds them and are influenced to join gangs and purse a life of abuse, crime, and wrongdoing while distorting their sense of morality.